Grand Designs Live and our Modulo sideboard! We popped along to the Grand Designs Live exhibition at the weekend, as top interiors stylist Lizzie Chambers had borrowed our Modulo sideboard (the white matt lacquer with the oak top) to use in one of her interiors sets. 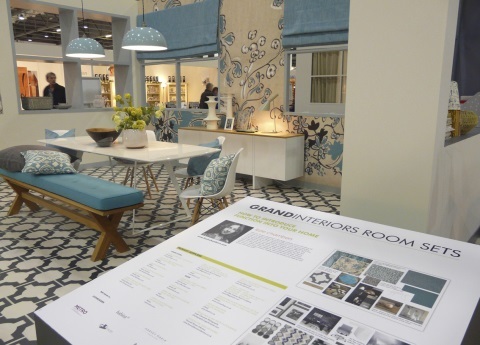 It was a very buzzy show with some interesting exhibitors but the interiors sets were the highlight for us. Lizzie had gone for a white, turquoise and beige colour palette in the dining room piece, creating a calming effect, using muted background tones and colourful highlights in pattern and some of the smaller details. She’d also mixed contemporary furnishings (our sideboard!) with vintage pieces creating a relaxed feel. Superb. No contemporary furniture collection is complete without sideboards, which have made a real comeback in the last few years. A great mix of the good looking & useful sideboards are great for virtually any room & are a fantastic way of adding extra storage while upping your interior style quotient. 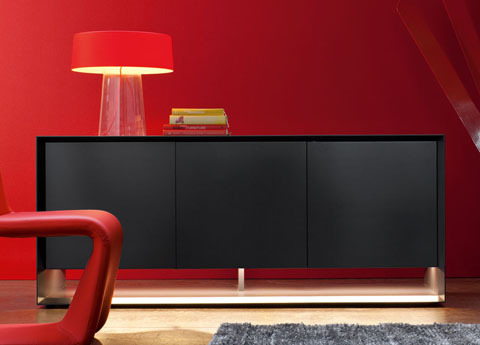 We have always had a large selection of modern, contemporary sideboards (we started with Casabella furniture’s high gloss Lucido collection, back in 2007 & kept going) – we now also have sideboards from Alivar, Bimax, Bonaldo, Europeo, Jesse Furniture, Tema Home & more. All except Tema Home (which is made in Portugal) are made in Italy. We have a good range of finishes too, including the ever popular white gloss, as well as black sideboards, & sideboards in other matt & gloss lacquer colours, from bold red to the the new dove grey – a subtle alternative to white or cream. Quite a few of our sideboards come in wenge, which is a dark oak stained veneer & Canaletto walnut, a light Italian walnut that looks fantastic in a contemporary room. As there are so many choices our sideboards are usually made to order – so lead times are eight weeks or more. We are just finishing putting Bonaldo’s 2012 Saloni Mobili designs on the website at the moment, & these last three items are definitely worth a mention! 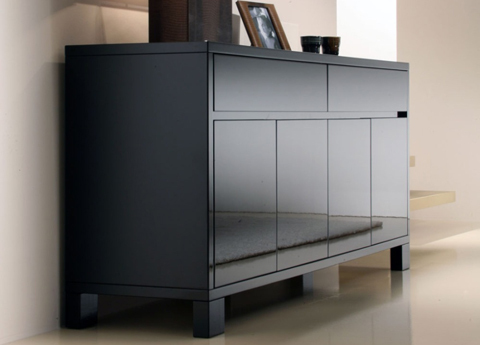 The Sunrise sideboard is ultra sleek with push to open doors & an angled frame with the doors set back slightly. AND you can have a light in the base, which looks just great. 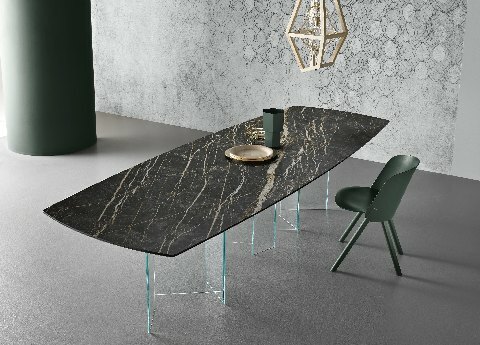 Available in anthracite or quartz grey, or white (my favourite). Also available in a larger size. See both at the top of our sideboards section, here.